Send your response and RRI might read it on the air during their November 3rd, 2013 broadcast. Read full details below. On November 1, 2013 we celebrate 85 years of Romanian radio broadcasting. An anniversary that we take pride in, that we think about more or less nostalgically, and which brings questions about the future. Ever since its first days, radio broadcasting has been subject to countless tests, on the one hand prompted by the changes in the media landscape, such as the growth of television, the development of private radio stations, the emergence of the Internet and of social networks, and on the other hand triggered by the diversifying means of reception and transmission. In response, the radio outputs and contents have also changed. Radio broadcasting and reception modernized. Political factors, regime changes and wars also influenced the mission and programmes of radio stations, while economic factors, such as the periods of economic growth or slumps, have affected the number of stations and their broadcasts. International stations have been subject to all these influences, just like all other radio stations. This is why, dear listeners, we invite you to tell us how you think international radio stations will develop in the coming years, and what your expectations are in this respect. What will the global supply of programmes for foreign audiences look like, and how large will it be? What means of transmission will be used by most international broadcasters? What will be the role of radio stations for foreign listeners, in a world where access to information is ever easier? We are looking forward to your answers to the question “What will be the future of international radio broadcasting?” and will award the most interesting 20 contributions. As usual, it is based on your answers that we will produce the “Listener’s Day” programme on RRI, aired on the first Sunday in November, that is November 3rd this year. You can send your answers in audio format, or in writing, via email, regular mail or fax, on Facebook or using the form on our website. Our contact details are: Radio Romania International, 60-64 General Berthelot Street, sector 1, Bucharest, PO Box 111, code 010165, fax no. 00.40.21.319.05.62, email engl@rri.ro. This entry was posted in Broadcasters, Current Events, News and tagged Radio Romania 85th anniversary, Radio Romania International, Radio Romania International Shortwave on November 1, 2013 by Thomas. Today at 20:30 UTC, Radio Romania International’s signal on 11,745 kHz was quite strong, as it so often is. RRI is one of the few broadcasters that still target Europe and the eastern US on shortwave. 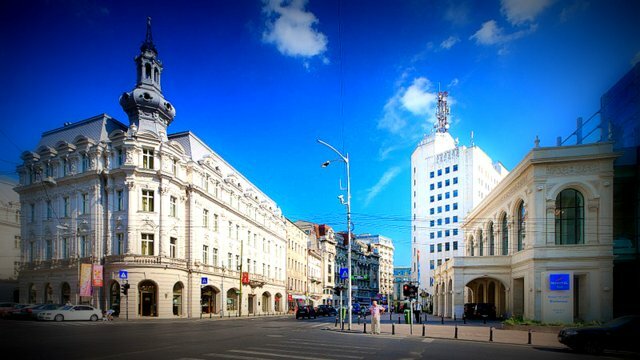 RRI is a treasure of a station, too, with true local flavor–Romanian news, music, and mini cultural documentaries. This Sunday broadcast features the program Inside Romania, Romanian Without Tears (a language program which always reminds me of the similarities between French and Romanian), DX Mailbag, and Roots. This entry was posted in Broadcasters, Podcast, Recordings, Shortwave Radio, What's On Shortwave and tagged Radio Romania International, Radio Romania International Shortwave, Recordings, RRI on April 21, 2013 by Thomas. Radio Romania International is on of my favorite international broadcasters. I routinely listen to their broadcasts in English and French. With the demise of Radio Bulgaria in 2012, I turn to RRI for news not only about Romania, but Eastern Europe in general. I do fear for the future of Radio Romania International on the shortwaves as so many broadcasters are pulling out of the spectrum and putting all of their faith into online “broadcasting.” If you enjoy RRI as much as I do, consider submitting a reception report and letting them know that you’re listening. This entry was posted in Broadcasters, Recordings, Shortwave Radio, What's On Shortwave and tagged Radio Romania International, Radio Romania International Shortwave, Recordings, RRI, RRI English, RRI Shortwave, Shortwave Radio Recordings on January 18, 2013 by Thomas.